The Internet is part of our everyday lives, and that’s a good thing! But with screens and online activities multiplying, our connectivity is rapidly growing, increasing the risk of our Internet use becoming problematic. Hyperconnectivity can have negative psychological, physical and social impacts, such as the deterioration of interpersonal relationships, anxiety, isolation, lower self-esteem and performance, sleep and posture problems, etc. Capsana developed the PAUSE campaign, with the support of Quebec’s Secrétariat à la jeunesse, to better face our new connected reality, which affects the majority of Quebecers, particularly young people, who are more “connected”. The PAUSE campaign promotes a balanced use of the Internet and relies on a positive rather than moralizing approach. The campaign encourages teens, young adults, and their families to stop and think about their digital habits and take action, so they can benefit from all the advantages the Internet has to offer, without the disadvantages. PAUSE also aims to encourage the settings frequented by youth to implement environments conducive to balanced connectivity. The name PAUSE highlights the importance of regularly unplugging. Pausetonécran.com serves as a reminder that a simple action can help us accomplish this. The PAUSE campaign is developed with the support of a committee of experts, which includes specialists in the prevention of cyberaddiction and the promotion of healthy habits for adolescents. A support network contributes to increasing the campaign’s reach and creates links with other initiatives. Despite PAUSE’s invitation to unplug, the Internet remains an indispensable tool to reach parents and young adults. The website provides information, tips and advice, a fun quiz for 18- to 24-year-olds, and a section for parents. A Facebook page rounds out the communications ecosystem. On average, 18- to 24-year-olds spend nearly 4 hours online on their cell phones every day, for a total of 28 hours per week. In Quebec, 1 out of 5 young people show problematic Internet use. 87% of Quebecers aged 18 to 24 own a smartphone. 65% of 18- to 24-year-olds feel that they use their phone too much, and 54% would like to use it less. Visual and audio notifications reduce our ability to concentrate. In the last decade, over 11,000 injuries have been attributed to texting while walking. The average user checks their cell phone every 15 minutes, even if half the time they haven’t received a notification. One out of two adults checks their phone during the night. Applications, games, and algorithms are designed to capture our attention and make sure we keep coming back. Before the age of 20, the brain is still developing, which makes self-control difficult. FOMO (fear of missing out) creates anxiety and leads to incessantly checking social media to “calm down”. 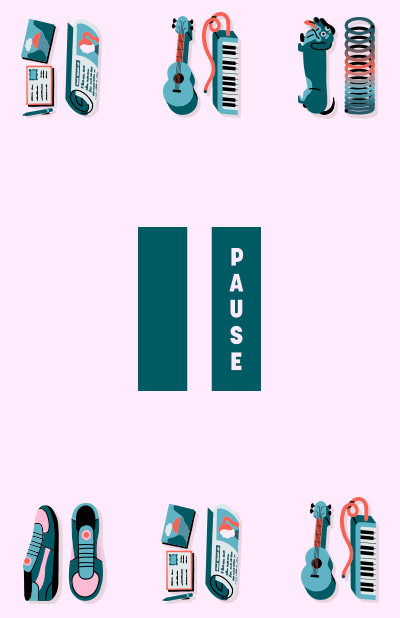 Contact us to become a PAUSE partner!